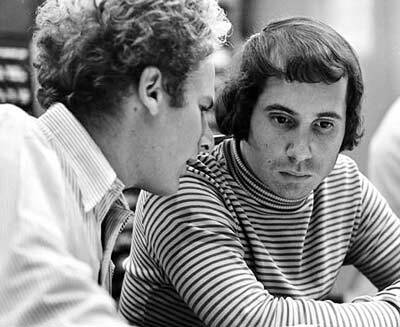 First things first, Paul Simon is a musical genius. Now that we have a common understanding, I will proceed. I (think I) know what you’re thinking, and yes, it is a stretch. Either way, member retention is something that a lot of credit unions don’t focus on. It’s not to say that we are lazy as an industry, but let’s face it, we’ve all got a lot going on and many of us are lucky to keep our heads erect due to the sheer weight of the multiple “hats” we’re wearing. “We always run this loan special in the Spring…” Times, they are a changing. Your credit union needs to change with them. So much is said about “thinking outside of the box”. I say this, “There IS NO box!” Let’s stop talking about cardboard and get down to brass tacks. Be unconventional, question traditions and don’t just do what you’ve been doing for years “just because”. Credit union members have a lot of choices. Online banking is taking off and banks are working to become less, well, “bankish” every day. Banks and credit unions sell the same widgets. Package them differently. Your credit union is unique, no doubt. Is your membership aware of your CU’s uniqueness? It is totally necessary to be innovative with marketing and branding strategies, but other things are better left as is. Member service (I will only address this topic once) is important. If you’ve got a member-centric mindset and your credit union lives it every day (every day), please skip to #3. If not, please proceed. I’m sure many of you have experienced the member that only conducts their business with a certain Member Service Representative (insert your CU’s title). Why do members do this? They do this because at one point, that employee went above and beyond what was asked of them for that member. Get out of the office and get into the community! Already doing three community activities? Why not make it six? If people don’t see you out in the communities that you serve, how will they get to know more about you? Other than what you post on billboards and run on the radio or TV, how are your members and prospective members learning about you? Community events, when done correctly are the best marketing your credit union can do. Let your members see you living the credit union lifestyle. Start conversations with them outside of the branch. Ask how your credit union is meeting or falling short of meeting their needs. Show them that you care (actually caring helps as well) and use their feedback to address issues that need to be dealt with. 4. You don’t need to discuss much? We’re busy, but no one is too busy to do their due diligence. Plans should always come first! You may want to be the first credit union on Pinterest (trivial right? ), but once you get on the website, what the heck are you going to post? How are you going to use it to provide value to your membership? How are you going to avoid being a salesperson? You can apply this to budgeting, loan growth, marketing, membership growth, you name it. I’m not casting stones here, but it has become apparent to me that there is a lot of doing, but little thought behind the action. Lay your plans first, carry them out and then assess what can be done better. Don’t embrace social (new) media. There’s no ROI, right? I’m calling BS on this argument. You want statistics? Well, go find them for yourself. I am more concerned with results. I’ve been a part of managing social media campaigns for credit unions for three years (impressive right? lol). There is an ROI and it CANNOT be measured traditionally. You don’t measure water and square footage the same way, how can you expect to measure two completely different tactics the same way? I expect, no, I welcome disagreement. Discourse is good. Results are better. What are the results of a properly run social media campaign? At the credit union I worked at prior to my current venture, we decreased the average age of our membership by 3.5 years in twelve months time. Furthermore, 86% of net new members were under the age of 46. Need more? Here, 60% of that same net new membership was under 31 years old. Read this white paper for more. Pick your metrics, work your plan and reap the rewards. Social media is the easiest way to get your message out of your branches and in front of more people. It is a relationship builder. Stronger relationships generally lead to higher member retention. If you’re lucky enough, you might get people talking about you. When this happens, sit back and enjoy the show. I’m not saying Facebook, Twitter, Foursquare and whatever other platform you prefer should be your primary focus. What I am saying is that they provide value to your members and when you have the right person running your campaign, it’s cost effective and high impact. What are some other ways to lose your lover (err… members?) I’d love to hear your thoughts. ← What Can Credit Unions Learn From Rudy? Nice post Bryce! With regard to point 2, it made me think of my many trips to Apple stores for tech support (we have a full household of Apple devices). I’ve always encountered helpful employees, and I have never been disappointed by the fact that I’ve never been helped by the same person twice. In my experience, they all do a good job in terms of personal interaction and more importantly they really know their products. Something else that I have noticed is that many times they ponder just how they need to provide assistance so that when they make a decision it seems that they have done something unique just for me. One example was an iPod with a cracked screen. After listening to the story of how the screen cracked the employee paused for a second or two, seemingly thinking about my options, and then said he would greatly discount a replacement “this one time.” It made me feel like I was getting a special deal based on my own story – yet I am sure “my story” had been told many times before, and the action taken was well within Apple policies. Sorry for the delayed response, that’s really not my style. You’re right on about the Apple model. I’ve had some very similar experiences. I try to stay out of Apple stores, they’re hazardous to my credit union account. I think it is very important that credit unions explain their brand (in detail) to every single employee. How can we expect them to live it if they don’t know it or understand it. In fact, I’ll be writing about that soon. Banks and credit unions sell the same widgets (I know I said that in my post, but it’s true.) If we have the same products we need to differentiate in other ways. To me, the most obvious and more importantly, easiest ways are to manage the experience our members have with us. This goes for in the branch as well as outside in the community. We can’t all be Apple, but we can try our hardest. Thanks for dropping a line. Great insight into something that we credit union professionals are reminded of every day, yet seem to collectively ignore most issues and warning signals. Maybe it’s because we feel that the relative impact to our reputation, bottom line, culture and/or business plan is small – or if it a matter of a time crunch (most likely the latter), these ideas are something to just more than consider……and the warning signs are important to work out contingency plans that can be actively executed! CUs have a great deal going for us, but we also have obvious disadvantages to larger banks and community banks out there. It’s true, we may have less money on average for innovative products/services, marketing budgets etc., but we have a structure that ALLOWS us to be nimble, quick to market, flexible and member centric (I can see a whole new blog post coming on this one…..). What I’m trying to say is that you are right in thinking that “there is NO box”. We fall into group think and the “herd mentality” doing what others are doing because it just sounds good, it’s easier, cheaper or there is no real strategic direction. If CUs continue to put the member out in front, providing solid products and services but also appeal to our unique memberships in ways that a larger bank cannot (i.e. by virtue of our community based memberships, we each have a unique and concentrated member DNA that is unlike any other membership or any other diluted bank customer base), we can continue to impact the CU revolution! Providing a platform for the 15-25 yr old members to make a positive and profound impact in their communities is not lip service. It’s providing value unlike any other business can – empowering them to stand for issues/causes that are bigger than themselves, where they see strength in numbers and can affect change by virtue of their collaborative efforts (much like we do as CUs…..There’s another blog…..”How CUs are more like Millenials – GenY – GenX than banks are. I’ll start working on it tonight!). Regardless, what we have is an advantage to be different, more personal, and human in an ever increasingly inhuman business world! THERE IS NO BOX! There is way too much awesomeness in your post to even begin addressing (typical). I will say this though, THERE IS NO BOX, instead, there are only our perceptions of what is possible and what is not. What is possible and what is not is directly correlated with the amount of time and energy we are willing to put forth to succeed. The CU industry’s flexibility and dedication to putting people first are indeed great assets. It is no one’s fault but their own if they do not choose to leverage those strategic advantages. Hard work and effective planning will always prevail. People don’t remember Apple’s “Think Different.” campaign for nothing. The “There is no box” mentality is no different. When we change our perceptions, or consider others, it’s amazing how many new opportunities present themselves. One thing that really stands out with the CU I use is that they aren’t real up on training new employees and it shows. Thanks for stopping by and checking out the blog! I truly am sorry that you are not completely satisfied with the service at your credit union. The main reason I write blogs such as this is to hopefully get credit union leaders thinking about how they can do right by their members. I would encourage you to use your right as a member owner to speak with someone at YOUR credit union about your feelings. Most times, people are not even aware that they are not doing what is necessary to keep their members happy. It is YOUR credit union’s responsibility to meet all of of your needs, this goes especially for member service (this should be a given.) Do you attend YOUR credit union’s Annual Meeting? This would be another great forum to express your concerns. Sometimes the best thing you can do is to send a friendly e-mail. Thank you. Those are all good opportunities for me to communicate the situation and look for a resolution. Your reply made me aware that the first step to solving a problem is to make it known – and that’s what I haven’t done. Thank you again. You are most welcome. It is your right as a member owner to express your thoughts and feelings about how YOUR credit union operations (I always capitalize “your” when talking about this stuff because I think member ownership is the coolest thing since sliced bread.) I’m guessing you chose to join a credit union because of their lower rates on loans, higher rates on deposits (no one has very good rates these days, though) or because at one point they made you feel that you were more than just another person to walk into their branch. Thanks again. I truly hope that your credit union listens, responds and thrives!